Perhaps I should have paid more attention when the favorite balsam succumbed during last December’s blizzard. I do not understand how I missed the alarm bells going off when the favorite white birch fell on the favorite car last month. I certainly should have had an inkling this chapter of my life was coming to an end. After all, selling our house was something we had planned to do all along. It didn’t matter; all the planning and efforts to sell the homestead could not adequately prepare me for the day when the cute Santa Claus house and those 2+ beautiful acres in the woods were no longer my home. 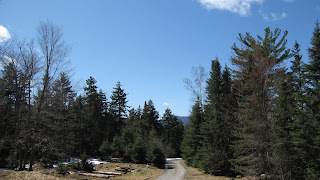 Yes, two days ago we sold the homestead, the site and plot inspiration of many an Adirondack Lifestyle blog story. In addition to the literary significance, our home on Cascade Road, in Lake Placid, is where my family and I lived for 23.5 years. When we rescued the little wood frame building from the encroaching pin cherry trees and wild raspberry bramble, I never imagined we’d still be living there 23 years later. It was supposed to be our starter home, but despite all the weed whacking and tree cutting, the place grew on us. I think it was a fun place to be a kid, based on my son’s and his friends’ behavior. From porch time to the tree house, sunsets, delicious well water, and ski trails emanating in all directions, the homestead at Cascade Heights (its formal name) was and is a great spot. That was my respectful homage to our old place. 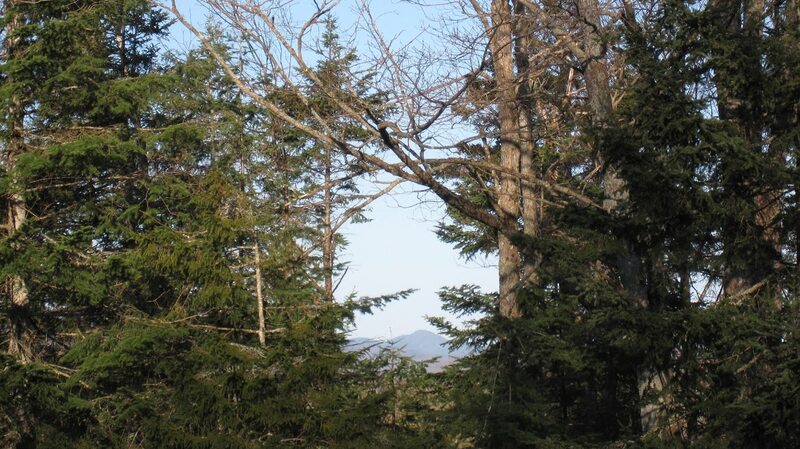 The really cool news is the resident biologist and newly assigned timber-frame builder and I are building a new home on an incredible piece of land we purchased many years ago. The new property is on the Old Mountain Road, only ¼ of a mile away, as the crow flies, from the old place. We like the neighborhood. This time, however, we are even closer to the Jackrabbit Ski Trail; it will cross our property. Ski trails, 3 acres with lake and mountain views; somebody pinch me! We will be town mice for a few months while we finish up the new building. Being so close to the Village of Lake Placid for the summer is going to be great. The Adirondack Lifestyle adventure continues as a new era begins. Stay tuned for a more interesting description of the new place and plans in future blog posts. Today was all about saying thank you for all those great years in the woods on Cascade Road. Today’s featured photos are the last views from that home courtesy of Joann Sandone Reed. Aw, Joann, congrats to you and Ed! It's so exciting, though I imagine it was tough to say goodbye to the old place after 23 years. Can't wait to see the new place when it's finished! Thanks Jess. Although it was a little sad to leave, we are very excited about the new project and location. It is even more remote and quiet on the Mountain Rd. I know how hard it is to leave a place that has served as the backdrop for much of your life and where you have raised your children. I'm sure you'll make many happy memories on Old Mountain Rd., too! Can You Weather The Adirondacks?